For today’s post I’m going to focus on the part of Ireland where I grew up: the Boyne Valley. As I’ve said before, Ireland is positively littered with structures built in earlier times from early Christian churches to castles of all types, sorts and sizes. 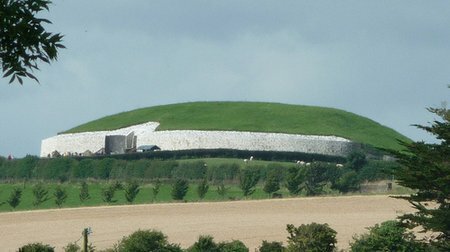 In the Boyne Valley, you’ll find all of that and passage graves which pre-date the pyramids at Giza within an easy hour’s drive from Dublin. This entry was posted in International Escapades, Ireland and tagged Battle Of The Boyne, Belfast, Bushmills, Giant's Causeway, Ireland, Itineraries, Newgrange on March 9, 2010 by wandermom.